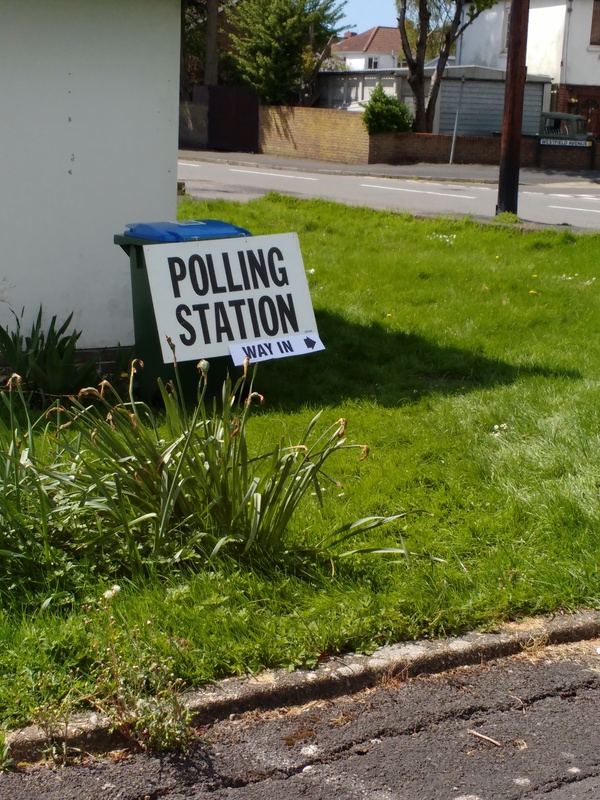 It’s been a fairly busy week for me, and also an election week for local councils. We had an opportunity to vote this week. Despite our current Councillor retiring, I hadn’t expected any change in political party even if the face changed. This proved to be true with the new Councillor getting over 50% of the vote, although given the campaigning before the day, you’d have thought there was only one candidate standing as we heard nothing from any of the other three, although I did see a representative of one of the other candidates campaigning in town on the Saturday before polling day. Sadly he was being pretty offensive and rude to people he spoke to, and not doing his candidate any favours in the process, he put me off voting for his candidate. I was sitting doing my end of month accounts when I realised that my calculator had stopped working. I thought it was just the battery that had died, but it appears that’s not the case and this is probably an end of life failure. 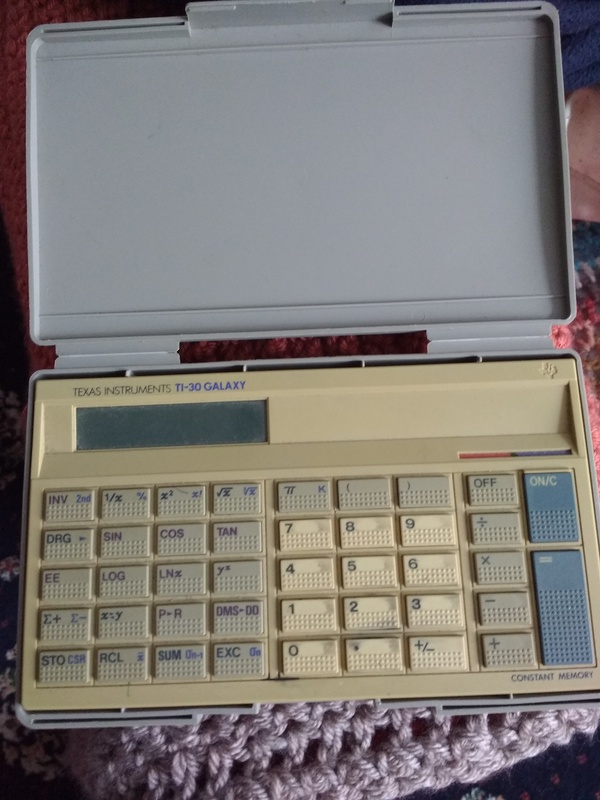 A little sad because I was given this calculator for either a Christmas or Birthday present (I can’t remember which) when I was starting my science classes at school. It’s seen me through all my school, college and university career, and on it to my working life. It’s done more than a few project appraisals, as well as month after month of household accounts. As I said on Instagram – We’ve done some maths together. By my reckoning this calculator is 35 years old, and that is some serious service for something that probably now we would be surprised if it lasted more than a few years. They don’t make them like that anymore. I’ve never really wanted a “fitness band”. 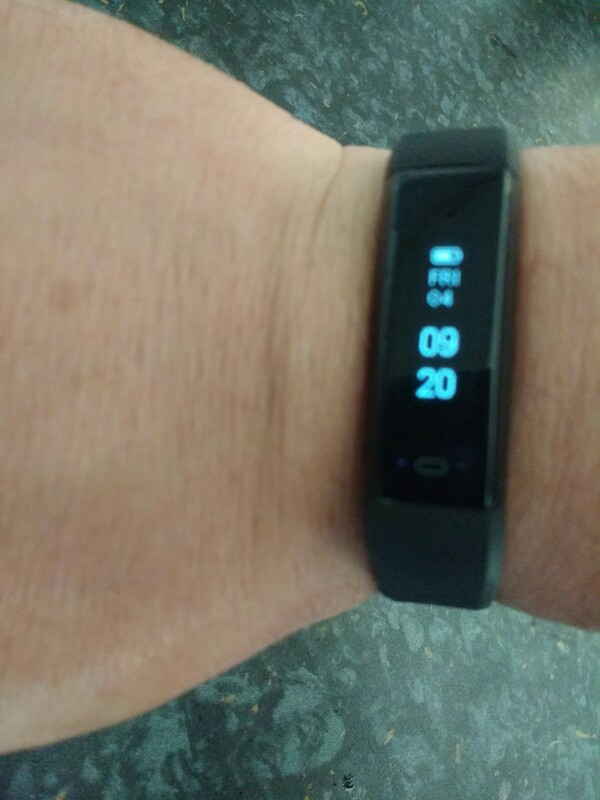 Not the musical kind, one of those things that you wear on your wrist that measures your steps, and heart rate and a few other things. My phone counts my steps and I’ve been pretty happy with that. Mythos – I’ve been listening to this BBC radio drama on iplayer this week on my travels [LINK] – (this might not work outside the UK, but it is worth the try). It’s a good mix of mythology and humour with some interesting story lines. A bit of a shame it was only three episodes, and I hope they make some more. If you’re a fan of Charles Stross’s Laundry novels [LINK], you’ll probably enjoy it. War On The Walker – I walk as much as I can, if I can get somewhere without using the car I try to do so. I get annoyed by cyclist riding on pavements where there is no cycle lane and insufficient room, and by people who are inconsiderate and park on the pavement blocking it. It seems that our current government is pretty set on the car, despite the fact that there are too many of them and not enough room for them. The solution is to build more roads. My local council’s view of how to overcome congestion and air pollution is essentially to build more roads – go figure. It also seems that even for electric vehicles, we haven’t gotten this right yet [LINK] and the Transport Secretary isn’t much better [LINK]. Nuclear Titanic – In times of crisis nuclear powered vessels can be used to provide power to communities where their normal power supply has been lost. In some ways I think this is possibly what Russia was thinking with the Akademik Lomonosov [LINK] but I’m not altogether sure that this is the best idea in the world. Work – A bit of prep for, and time at a meeting mid-week but otherwise it’s been another quiet week on the work front. The outcome of the meeting however means they’ll be a bit to do in the coming weeks (subject to the response from the client). Allotment – The weather turned for the better midweek (and is due to last until after the Bank Holiday Monday). As well as the allotment I managed to get a few things done in the garden at home. I had a little help in the garden as I was replacing some of the supports for our climbing roses that grow up the wall between us and one of our neighbours. It was lovely to be out in the sun doing some of those small jobs that often get forgotten in the garden because of lack of time. On the plot things have been doing pretty well, despite a couple of late frosts this week. I’ve planted out some leeks, mowed the paths and gave the beetroot seedlings a good weed, they’re looking the better for it. Currently Reading – I’ve been reading “On The Moor” by Richard Carter [LINK] on and off this week. It’s an interesting mix of science, landscape and natural history. I’ve also been dipping in and out of a few other things. Monday’s a Bank Holiday, and if the weather holds beyond then I’ve got a couple of plans, but then you know what they say about the best laid plans! Have a good week.